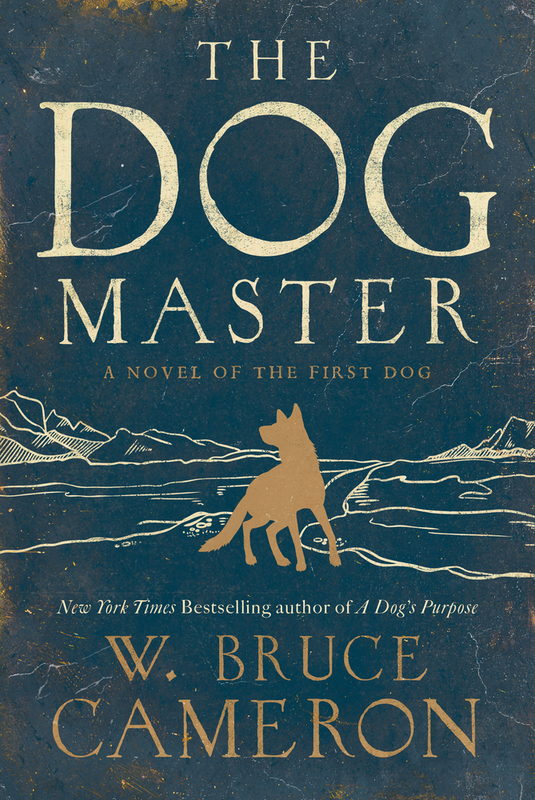 Author W. Bruce Cameron discusses The Dog Master, the story of one tribe’s struggle for survival and one extraordinary man’s bond with a wolf—a friendship that changed mankind forever. How did the idea for The Dog Master originate? What was your inspiration? Was there a particular event, circumstance, or something else that spurred you to write it? I read that all dogs share common DNA with the first domesticated wolves, which means that the dog lying at my feet while I write this is, deep inside his double helix, a wolf. That’s why, in the wild, wolves chew shoes and bark at the UPS man. My dog seems to have been bred to take naps. He regards my bed as his and grudgingly allows me to sleep there at night. To get to his particular breed mix from wolves must have involved a lot of odd Darwinian processes, and I began thinking about that. How, in other words, did we get here? I started tracking stories about when humans and wolves began living together, and was startled to learn that the fossil record suggests we adopted canine companions right when things were looking the bleakest for mankind. Ice was crushing everything in its path as the glaciers ground their way south, so that we were forced out of the trees and onto the plains where we could be hunted by animals of speed and tooth and claw. Neanderthals, who were stronger and faster and perhaps, judging by their brain pans, smarter, were competing for the same scare resources. Yet somehow, despite all these challenges, we survived, prevailed. It seemed obvious to me that it was because of the dogs. I wanted to tell the story of how that all came to pass. Can you tell us a little about The Dog Master? Think of how unlikely it was that humans and wolves would come to trust each other. After all, even today wolves avoid us. Back then, before we developed the technology to eliminate the aggressive ones, we were probably just another food source to them—soft, slow, and weak, armed with sticks instead of gunpowder. And we were starving. Why would we share fresh meat with an animal when we were having problems feeding our children? So something extraordinary, unique in our history, must have occurred to bring these two competing species together. The Dog Master imagines what that was, how this all came about. The Dog Master is a work of fiction based on an indisputable fact: dogs are our modern-day companions, their fates inextricably bound to ours. How do you envision this intimate relationship developing? Evolution is the water torture of processes, a drip-by-drip force of nature that moves so slowly no one can see it while it’s happening right in front of them. So no one could have had the time, nor the patience, to steadily work with a pack of wolves to induce them to trust us enough to join us at the camp fire. It was, instead, a single wolf, and a single human, coming together under extraordinary circumstances. There are a lot of complex-but-relatable characters in The Dog Master. Do you have a favorite? Is there a character you ended up not liking at all? Ah, well, I don’t think I’ve ever created such a deliciously wicked villain as Albi. And, like most truly evil people, her motives are clear and out in the open, which makes it that much more difficult to stop her. I won’t say here which character I like the least, except to say that the reason I despise him is because he is, at heart, a coward. What was your favorite part of writing The Dog Master? Least favorite? My favorite part of the writing is that all the drama, mystery, and suspense was already built into the landscape. We were being hunted, we were having trouble finding food, the landscape was changing, other tribes were menacing—and yet we were determined to survive. Our social fabric was complex enough to allow us to live together in clans and communities, and the things that are important today—finding a mate, having and protecting children—were even more important then, because it was how we were surviving when the odds were so against us. Least favorite? There was so much more to write about! The book had to end, of course, but there are so many amazing things to come for the characters in The Dog Master. Are there any new updates about the upcoming A Dog’s Purpose movie, which is being directed by Lasse Hallström for DreamWorks? We start shooting in August 2015. I’ve been told I will have a major role in the movie if they decide not to hire actors. Looks like I’ll be on the set for A Dog’s Purpose a week or so after the release of The Dog Master. And we’ve got another independent movie that we hope will be out in 2016. After that, I’ve got another novel in the series that started with The Midnight Plan of the Repo Man that is written and will be out in 2016. More immediately, I’m going to make a burrito and then take Tucker for a walk.